Talk about My Hero Academia here. Plot Summary: Mankind has developed superpowers known as "Quirks" with 80% of the population having some kind of superpower. These new abilities see the rise of both superheroes and villains. A prestigious school known as the The Hero Academy trains superpowered hopefuls into the heroes the world needs. Middle school student Izuku Midoriya wants to be a hero more than anything, but he's part the 20% without a Quirk. Unwilling to give up his dream, he plans to take the exam and be accepted into a high school for budding heroes. Through a series of serendipitous events, he catches the eye of the greatest hero, All Might, who agrees to train him. Filipino-dubbed version confirmed in a social media post by it's dubbing director, also hints at Season 2 for next year. 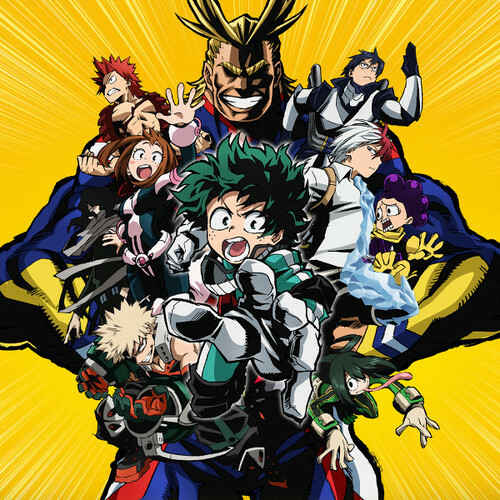 ABS-CBN’s digital terrestrial channel YeY is set to air the sci-fi action anime My Hero Academia for the first time in Filipino, according to a social media post by its dubbing director. Daisy May Cariño served as the dubbing director for the project, and announced on her Instagram post on Tuesday that they have concluded dubbing the popular anime’s first season. She is joined in the pictures by Maynard Llames (“Daiki Aomine”, Kuroko’s Basketball), Elle Genovata (“Kurumi Tokisaki”, Date A Live), Cheska Aguiluz, Anthony Steven San Juan (“Shido Itsuka”, Date A Live), Raki Diga (“Chichiri”, Fushigi Yuugi OVA), Mark Ivan Uy (“Rin Matsuoka”, Free! Iwatobi Swim Club), and Christian Velarde (“Kenji Gion”, All Out!). The Instagram post also includes a video clip, which shows Mark Ivan Uy voicing the lead character “Izuku Midoriya” and Elle Genovata as “Tsuyu Asui”. The terrestrial network has yet to announce when will My Hero Academia premiere, but the dubbing director already hinted that the dubbing process for Season 2 would start next year. 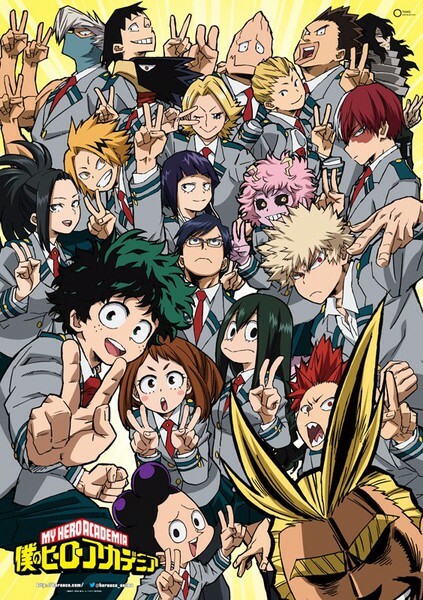 My Hero Academia is an anime adaptation of a Japanese manga series by Kohei Horikoshi, which is being serialized on Shueisha’s Weekly Shonen Jump magazine since July 2014. The manga series currently has 16 volumes. Gundam Build Fighters director Kenji Nagasaki and scriptwriter Yosuke Kuroda reunited to work on the anime series, while Yoshihiko Umakoshi, who worked on titles like Berserk and Magical Doremi, handled the anime’s character designs, which was produced by the anime studio BONES. Southeast Asian anime channel ANIMAX Asia aired both first and second season of the anime on a simulcast basis. YeY! is one of the digital terrestrial sub-channel of ABS-CBN, and the second animation channel of the network after HEROtv. Previous anime titles also aired on the digital channel include Kirarin Revolution, Rental Magica, Tears to Tiara, and Himouto! Umaru-chan. Ngayong Mayo na sa YeY! The popular anime is set to air for the first time in Filipino-dubbing on May 7. ABS-CBN’s digital terrestrial channel YeY has announced on Saturday that My Hero Academia will start airing on the channel in Filipino dubbing this month. The teaser mentioned that the popular sci-fi anime will premiere on Monday, May 7, which means that it will air Every Monday to Fridays, but no mention of its time slot. Anime Pilipinas reported last November that the dubbing sessions for the anime’s first season had concluded the same month, according to an Instagram post by Daisy May Cariño, who served as its dubbing director. The social media post also included a video clip, which shows Mark Ivan Uy voicing the lead character “Izuku Midoriya” and Elle Genovata as “Tsuyu Asui”. No word yet if they have already started dubbing the show’s second season. Simula ngayong Lunes na, 8:00pm to 9:00pm sa YeY! The popular sci-fi anime is set to air for the first time in Filipino on May 7. 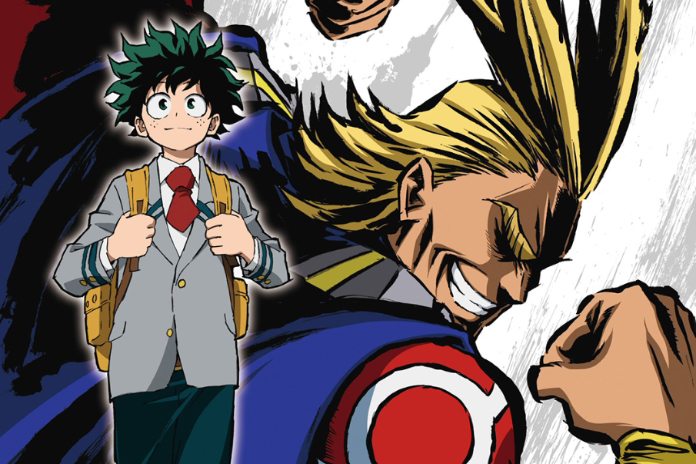 ABS-CBN’s digital terrestrial channel YeY has announced on Friday that the second season of My Hero Academia will also be airing on the channel this month. Both seasons will be aired consecutively, which means the first episode of Season Two will air starting Wednesday, May 23, after the first season the day earlier. Season One of the popular sci-fi action anime will premiere on May 7, airing Every Monday to Friday nights at 08:00pm. The anime series will air for the first time in Filipino dubbing. 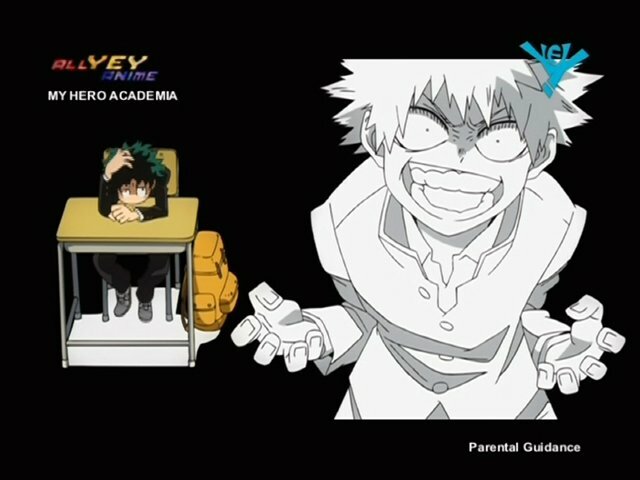 @ABSCBN's #YeYchannel has just aired the first two episodes of #MyHeroAcademia S1! What are your thoughts on the airing, as well as the dubbing? Let us know by responding on this tweet! Plot Summary (Season 2): Taking off right after the last episode of the first season. The school is temporarily closed due to security. When U.A. restarts, it is announced that the highly anticipated School Sports Festival will soon be taking place. All classes: Hero, Support, General and Business will be participating. Tournaments all round will decide who is the top Hero in training. Wills and strengths will be tested, as weaknesses will be overcome in this new season of My Hero Academy. Season Finale na ngayong gabi sa YeY! (6.22.18) Last two episodes of Season 2 will air tonight at 8pm. My Hero Academia will have a Replay this November sa YeY! in the same timeslot replacing Samurai X.